For years, United Way of Boone County has worked in partnership with agencies that believe in children and youth, empowering people with disabilities, caring for the elderly, meeting basic and emergency needs, and strengthening families. Donations to our annual campaign help support a network of agencies that provide vital health and human service programs to people in need right here in our community. 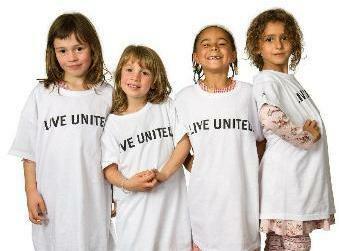 The needs are great and an investment in United Way is a great way to be part of the solution. provide all the materials and support you need. You can also visit our Campaign Toolkit below for helpful tips on running a successful workplace campaign. Contribute a flat amount or use the corporate gift as an incentive with your employees by matching the dollars raised. To make a donation, click on Corporate Pledge Card in our Campaign Toolkit. Attach the completed form with your gift and mail to the United Way of Boone County office or submit with your employee campaign donations. Become a vital United Way partner by offering services, products or marketing assistance and help us keep administrative costs low so donor gifts remain focused on ensuring strong community outcomes. A payment can be mailed with the pledge form, or we can bill you at your convenience. If you are unable to print the form, please call our office at (815) 544-3144 and we would be happy to mail you a brochure/pledge card.